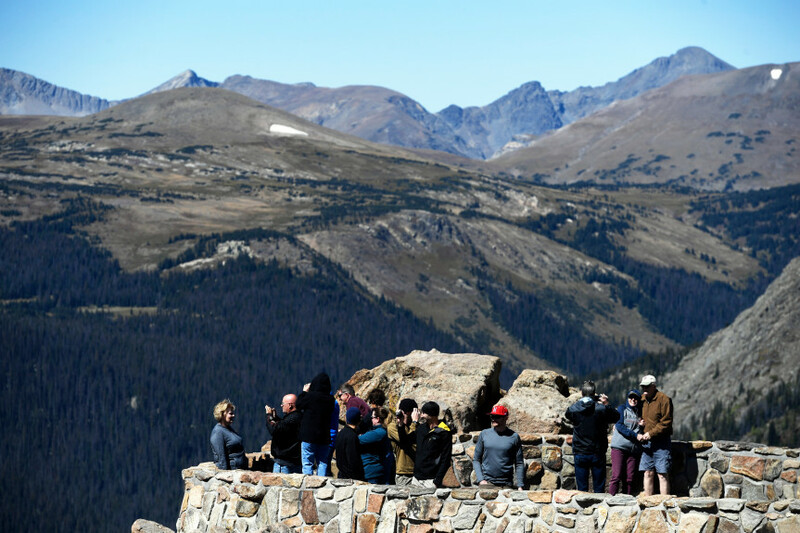 Visitors to the Rocky Mountain National Park get a good view of the Forest Canyon area along Trail Ridge road Sept. 10, 2016. The money is expected to aid districts in rural areas, as well as others short on cash. It would help buy new desks and furniture, fixtures for bathrooms and classrooms, and other equipment schools need as they expand their full-day kindergarten offerings. To assist with those one-time expenses, lawmakers hit on tapping the Building Excellent Schools Today (BEST) fund, which already draws from marijuana tax money to issue local grants for school construction projects. The proposal is part of a bipartisan bill that also would deliver a $125 million boost in direct school construction assistance across the state in the next two years. The state recently has put $40 million a year from retail marijuana excise taxes into the BEST fund, fulfilling a requirement of Colorado’s 2012 vote to legalize the sale and possession of recreational marijuana. The fund also includes revenue from other sources, including the lottery and state land leases and royalties. When Dr. Heather and Dr. Mike Murphy were recruited by Aspen Valley Hospital (AVH) to join its growing network of providers in early 2017, the community quickly learned they were something special. Dr. Heather is a board-certified otolaryngologist (specialist in care of the ear, nose, and throat), and offers services to both adults and children ranging from chronic sinusitis, to problems of the ear, voice disorders, head and neck surgery, the insertion of ear tubes, care of tonsils and adenoids and treats many other common and more complex conditions. Dr. Mike is a board-certified, fellowship-trained ophthalmologist who also treats people of all ages with conditions such as cataracts, glaucoma, macular degeneration and diabetes. In addition to comprehensive ophthalmology care, he also offers cosmetic and reconstructive surgery of the eyelids, trauma care of the eyelids and bones of the eye socket, and treatment of blocked tear ducts. This dynamic husband and wife duo have grown their practices tremendously over the past two years, and they now see over 3,700 patients annually, far outpacing expectations. In fact, the Drs. Murphy have already outgrown their current space, which has led to the construction of new offices on the Hospital campus, accommodating both patient and practitioner needs. To celebrate, a ribbon cutting will be held tomorrow, followed by tours of the new clinical area and a “meet and greet” with both doctors and their teams. These are the kinds of projects that are fueled by need, and made possible by generous support. Three of the four phases of the Master Facilities Plan have now been completed, and the fourth and final phase of the project is 100% dependent on philanthropy. With $13.5 million remaining to be raised, the Foundation’s $60 million capital campaign goal is in reach. Please join us in celebrating this exciting new space, and consider supporting your community hospital. Yunlong Chen is still missing, and the chances of him being found by a skier on Vail Mountain just got a lot slimmer. Vail closed for the season on Sunday, nearly eight weeks after Chen’s last known activity on Feb. 28. Chen was spotted at the Vail Transportation Center between 8:15 and 9 a.m. on Feb. 28; a little while later his ski pass was scanned at Gondola One. That was the last known activity related to Chen, Amber Barrett with the Eagle County Sheriff’s Department confirmed. Barrett did not share any lifts that Chen may have scanned besides Gondola One, but in March Detective Aaron Veldheer confirmed that Chen’s pass was scanned in more places than just Gondola One. “He scanned a few (lifts) at Vail,” Veldheer said. While the last known activity related to Chen occurred in Vail on Feb. 28, it took until March 10 for reports of his disappearance to reach Vail. The snow stake at Vail recorded 57 inches of snowfall from Feb. 28 to March 10. Chen, 55, is from China and was traveling alone on a ski vacation. He was scheduled to fly to British Columbia for a few days after Vail, before returning to China. Police said he didn’t make it to British Columbia. Chen’s family in China reported him missing when he did not arrive back home. “That may have caused some of the delay in reporting,” Veldheer said. Also, “he was known to maybe be a little bit loose on his schedule,” Veldheer added. Surveillance photos taken of Chen on the morning of Feb. 28 show him wearing bright orange ski pants and a bright blue jacket. If anyone has any information about Chen or his whereabouts, contact the Eagle County Sheriff’s Office at (970) 328-8500 or the Vail Public Safety Communications Center to speak with the Investigations team at (970) 479-2201. We’re at that point in the season, with only a few weeks to go, where we can begin to accurately predict where each team will land in the playoffs. But, before we do that, I want to talk about the rankings for a second. I get a lot of questions, from coaches and parents alike, about where those numbers come from. So many don’t seem to know the difference between CHSAA’s weekly rankings and its RPI, so let’s clear that up. First, the weekly rankings. During the season, this is the number I use most commonly. They are released each Monday, typically, and voted upon by coaches and select media members from across the state. The Aspen High School girls soccer team, for instance, is ranked No. 4 in Class 3A this week. This ranking is a good way to compare and contrast scores and such, but otherwise it’s meaningless. It has no bearing on the postseason and other than maybe a pat on the back, it doesn’t get you anything. Still, it helps put things in perspective during the season. Now, about the RPI. Shorthand for Rating Percentage Index, this is a mathematically derived number that means everything. Whether a team makes the postseason, and what seed they might get, will largely be decided by RPI. Considering all the data it needs to be accurate, such as winning percentage and strength of schedule, there isn’t much reason to pay attention to RPI until late in the season. So, with that hopefully cleared up a bit, let’s take a look at the RPI — which updates daily — and see where some of our local teams stand with the postseason in sight. As mentioned, the AHS girls are No. 4 in the weekly voter-based rankings, but were No. 5 in RPI as of 4 p.m. Monday. At 9-2 overall and undefeated in league play, the Skiers look like a team that could take an 11-game win streak into the 3A playoffs, where it should be a very high seed. A home playoff game in the first round is all but assured at this point. Keep in mind, Aspen was only a 13 seed in the 24-team tournament last year, but won three games to make the state semifinals before losing, 1-0, to eventual state champ Jefferson Academy. Basalt’s playoff hopes are much more dim. At 1-7-1 overall, the Longhorns’ RPI was 34 as of Monday afternoon. Barring quite the late-season push, I have a hard time seeing them in the postseason, unfortunately. Roaring Fork (6-4) has a decent chance to make the postseason with an RPI of 21. After traveling to Delta on Tuesday, Basalt will host Roaring Fork on Wednesday. Aspen heads to Grand Valley on Tuesday, before hosting Roaring Fork on Thursday. At 6-4 overall, Aspen’s postseason chances still look pretty decent in boys lacrosse. AHS was the No. 6 seed last season in the 16-team bracket and made the state semifinals before losing to eventual champion Cheyenne Mountain, the 7 seed. Aspen’s RPI is 11 (out of 36 total teams) in 4A as of Monday, so if that holds they should make the bracket. Still, there isn’t a lot of room for error, making Thursday’s trip to Grand Junction a very important game. Despite a 10-0 record, the Aspen girls lacrosse team still isn’t getting much love in the voter-based poll, coming in at No. 8 this week. But the RPI, which is all that matters, sure likes them. The Skiers were No. 3 in RPI as of Monday night, behind only No. 1 Colorado Academy (11-0) and No. 2 Cherry Creek (9-1). The final two games against Roaring Fork and Fruita Monument could be challenging, but the way Aspen has simply destroyed most teams this season, I don’t see them losing in the regular season. This could set them up for an unprecedented high seed in the state tournament. Last spring, the first under coach Amanda Trendell, AHS was a 13 seed in the 20-team bracket. They lost in the second round to No. 4 Regis Jesuit. Roaring Fork (6-2), playing varsity lacrosse for the first time this spring, was 18 in RPI on Monday, prior to beating Eagle Valley. Would be cool to see them make the playoffs in their first season. Between the youth, inexperience and wild weather, making the postseason was going to be a long shot for both Aspen and Basalt this season. And with a few weeks to go, there’s essentially no chance. As of Monday afternoon (please don’t shoot the messenger, for that’s all I am), AHS baseball (0-12) was dead last with an RPI of 60 in Class 3A. Basalt (2-8) came in at 52. 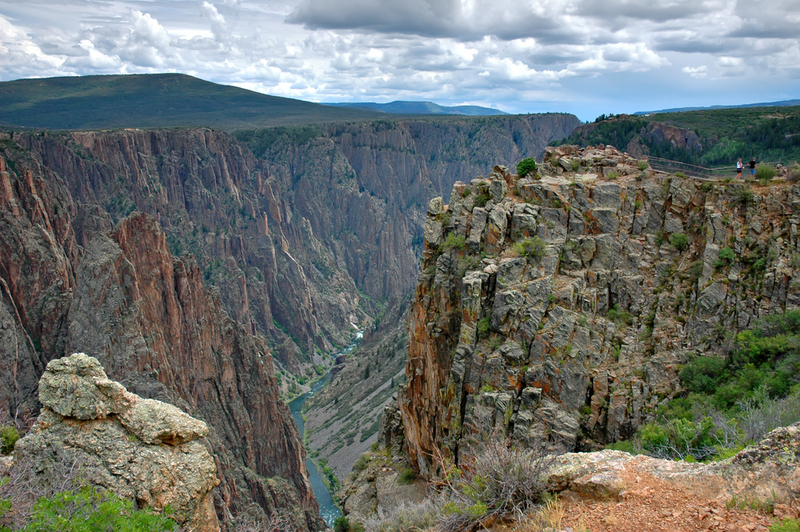 Aspen heads to Gunnison Tuesday, while Basalt will be at Delta. I don’t want to ignore the other teams this week — those being girls golf, girls tennis and track — but this column was mostly about RPI, a number that means nothing for those three teams. Making state in golf and tennis is all about how well you do at regionals, which are fast approaching, while state track is about having a time or mark in the top 18 of your event come the end of the regular season. The idea of giving Aspen’s elected officials a pay increase was shot down Monday when a majority of City Council members voted to kick the can to their successors to decide if future political leaders should earn a living wage. Council members and the mayor have not seen a pay raise for 18 years, which is why an increase of $200 per month was on the table. Council members currently make an annual salary of $20,700 and the mayor $27,900, plus health insurance benefits. The five members currently serving on council are either self-employed or retired and live in free-market housing each valued at between $500,000 and $5 million. Collectively, their residential properties are valued at more than $13.5 million. “I think it’s a little financially hubristic for all of us and our situations to stand up here and not try to tackle this on a level of substance,” said Councilman Adam Frisch, adding that serving in public office is a honor but that only goes so far; it doesn’t pay the rent, mortgage or a ski pass. Frisch, whose second and final four-year term is drawing to a close, brought the pay increase forward to his colleagues. He argued that council salaries should be increased to roughly $30,000 and the mayor’s salary to around $40,000 — to adjust for inflation since 2001. Frisch said compensation should continue to be adjusted and indexed to reflect inflation. Adjusting the pay rate for elected officials would draw a wider variety of candidates who, if elected, wouldn’t have to rely on a full-time job and try to fulfill what is at least a 20-hour-a-week job. A more diverse set of candidates would give better representation on council, specifically working-class citizens who have children in the school system or live in deed-restricted housing, Frisch noted. Prior to Monday’s meeting, City Attorney Jim True suggested a more modest pay increase at the direction of Mayor Steve Skadron. At first reading on a proposed ordinance increasing pay by $200 a month, council voted 3-1 on a motion made by Councilman Ward Hauenstein to table the proposal. He said $200 per month doesn’t do justice to the position, adding that it’s inappropriate for the current council to decide how much future ones should make, citing the lame-duck session underway until newly electeds take office in June. Hauenstein was able to get support from Skadron and Councilwoman Ann Mullins to kill the ordinance. Councilman Bert Myrin was absent. Frisch had hoped for further consideration among his colleagues and dialogue with the public before the second reading of the ordinance, which would have been during a special meeting May 6. The bump in pay would’ve benefited incoming council members Skippy Mesirow and Rachel Richards, along with mayor-elect Torre; they will be sworn in on June 10. Before salaries were raised 18 years ago, council members earned $14,400 and the mayor $20,700. It was the first pay raise Aspen’s public officeholders had received since 1996. By comparison, Pitkin County commissioners receive $84,665 a year, which is established by the state Legislature. When comparing salaries of elected officials in other ski resort towns, Aspen lands in the middle. The most a mayor or a council member makes in the region is in Park City, Utah, where the position commands $44,477 and $22,975 a year, respectively. In Colorado ski towns, the next closest salary comparison to Aspen is Snowmass Village where the mayor makes $1,700 a month and council $1,200. Those salaries also include a $500 monthly stipend to be used for health insurance. The Snowmass Town Council voted “yes” on a pay raise in May 2018. Aspen’s mayor currently makes $2,325 a month and council $1,700. When you talk about a town master plan process, the reaction of most residents falls into one of two categories — either their eyes glaze over from boredom or they foam at the mouth with excitement at the prospect of getting involved. Basalt town officials and their consultants hope to get as many people involved as possible in the town’s first full-fledged master plan update since 2007. They welcome the foamers, they hope to attract the glazers and they are seeking ways to interest everyone in between. Heather Henry, principal with Connect One Design, a Basalt-based company hired to help with the update, said the process has some things going for it that should attract people. 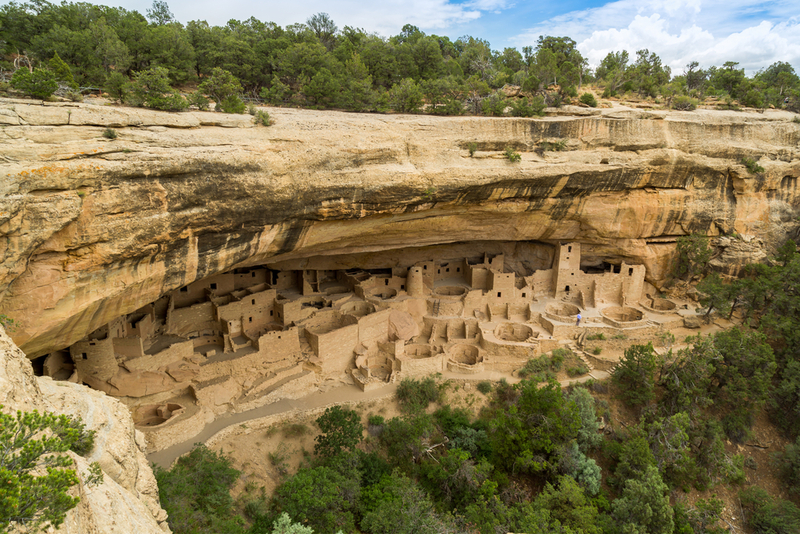 First and foremost, the master plan will help determine how Basalt looks and feels, what kind of character it possesses and what it needs to do to achieve that vision. It won’t solely be a land-use document that dictates how many square feet can be constructed here and what types of uses can go there. “You can see how we’re really digging into a lot of different things,” Henry said. The goal is to have an updated master plan by the end of the year. A website that will be used throughout the eight-month process went live Monday at www.letstalk.basalt.net. The site will be used to conduct a survey, poll people as issues arise and allow participants to share stories on issues being contemplated. In addition to the website, the first public open house will be Thursday from 5:30 to 7:30 p.m. at The Temporary in Willits Town Center. Town residents are encouraged to go and talk to the consultants, learn more about the process and share their thoughts. Connect One and another consulting firm, CTA Group, want to use the survey and direct communication with the public to find answers to a variety of questions. The Basalt Planning and Zoning Commission will play a key role in the new plan. It must also be approved by the Town Council. Planning commission chairman Bill Maron said at a meeting last fall he wants the new master plan to set aspirations for the town. The last plan was too oriented toward land use mechanizations, he suggested. “It helped us determine what we don’t want. It didn’t help us advance goals for what we do want,” Maron previously said. The process could be facing some challenges. First, although the town hasn’t completely overhauled its master plan since 2007, it undertook an extensive land-use planning process for the former Pan and Fork property and other land downtown in 2014-15. The exercise headed by former Town Manager Mike Scanlon was intended to build some level of consensus over what could be built on the Pan and Fork site and avoid land-use political fighting. It didn’t work. The town appears evenly divided over whether the site should be oriented to have more development or more park. The fight has stretched into its seventh year with no certain path for resolution. Another challenge could be Basalt’s status as a bedroom community. An unrelated study called the Greater Roaring Fork Regional Housing Study found that 90% of Basalt’s 3,200 working residents commute to jobs outside of town while only abut 330 work and live in town. Basalt businesses provide about 2,250 jobs, but 85% of the positions are filled by people commuting into town, according to the housing survey. Meanwhile, housing prices continue to climb and make it difficult for the working class to gain a toehold in Basalt, as is the case elsewhere in the valley. The average existing house sales price is about $780,169 in Basalt. About 22% of Basalt’s total residential parcels are owned by people outside the region, the housing study said. Henry said she didn’t see the high number of commuters as a problem. People can have pride in their community and be concerned about its direction even if they commute elsewhere for their job, she noted. They are still concerned about issues such as schools, community character, parks and opportunities for recreation, she said. In addition to Thursday’s event, there will be open houses May 9 at Basalt High School and May 30 at Rocky Mountain Institute. All times are 5:30 to 7:30 p.m., and participants can drop in at any time as there is no central presentation. The open houses are designed to be progressive, Henry said. So, information collected at the first event will be used to dig deeper into issues for the second event. All three open houses will have kids activities, and refreshments and light food will be provided. Information will be provided in English and Spanish. From a “who cares” perspective, Henry said, the master plan is supposed to provide a road map for Basalt’s direction for the next 10 years. Therefore, anyone who believes they will be part of the community for the foreseeable future will want to get involved. It’s intended to steer public-sector programs and decisions by providing a framework for regulatory tools such as zoning, annexation and other policies. It provides a vision for what’s desired for current and long-term growth. It provides developers and private landowners with a blueprint for community expectations. “This is the vision of what the community really wants in these parcels,” Henry said. After Gov. Jared Polis signed Senate Bill 19-181 into law last week, operators, government officials and other interested parties across Colorado will have both eyes on the rule-making process to see how exactly oil and natural gas industry regulations will change. That could take weeks, months and possibly even years, some observers say. The bill, introduced by the state’s Democratic leadership with Polis’ backing in early March, sought to change how the industry is regulated, with more authority given to local control. How exactly that will look remains to be seen. 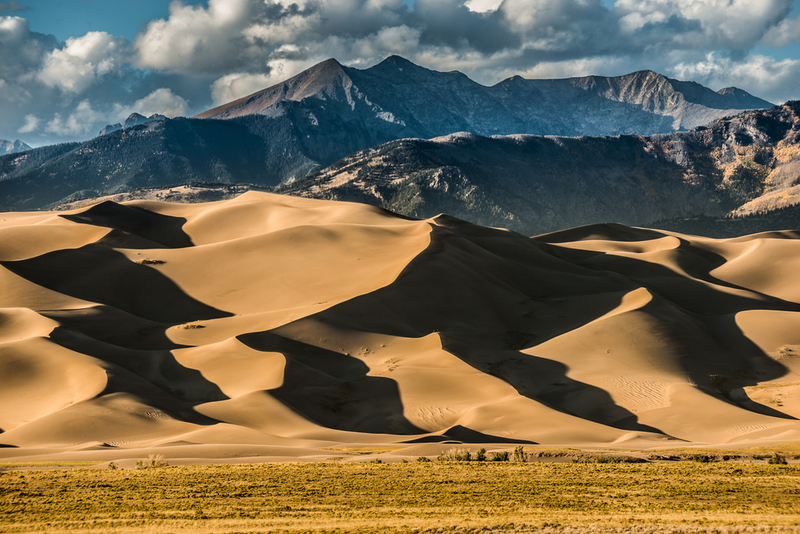 On Monday, the new head of the Colorado Oil and Gas Conservation Commission (COGCC), Jeff Robbins, released a draft of the objective criteria for the new bill. The directive is meant to guide officials to determine whether a proposed well or location requires additional analysis to ensure the protection of public health, safety, welfare or the environment. The criteria will be used to consider whether permits, drilling and spacing unit applications and comprehensive drilling plan applications meet the bill’s mandate, according to Robbins. The comment period for the objective criteria opened Monday, as residents across the state have the chance to review and voice their thoughts and concerns before the COGCC finalizes them. West Slope Colorado Oil and Gas Association Executive Director Eric Carlson stated his disappointment in the short one-week time frame to review the objective criteria and submit comments. Those interested have until 5 p.m. April 29 to submit comments to http://cogcc.state.co.us/comments/default.aspx. Once the comments are collected, the review will be evaluated by May 16. The criteria apply to applications for permits to drill, an oil and gas location assessment permit, a request to vent or flare permit, an intent to plug permit and more. It also will apply to pooling applications, drilling and spacing unit applications, and comprehensive drilling plans. If a permit meets one or more of the objective criteria, it may be subject to additional review. One position taken by operators and industry advocates since the bill was introduced is that the process essentially put a moratorium on all new oil and natural gas development until the new rules are finalized. Robbins said in the Monday statement that there is no moratorium. “All oil and gas permits or projects will not be put on hold and there is not a moratorium on oil and gas permits in Colorado,” according to the statement. However, Carlson questioned if a delay is much different than a moratorium. “The legislation does not require the director to delay all final permit determinations until these rules are promulgated,” the objective criteria draft reads. With so much uncertainty until the rules become more clear, it may discourage future investment from operators, according to Carlson. He said he plans to provide input through the objective criteria comment process, as the industry tries to figure out what the final regulations will entail. Carlson added that he remains concerned by the uncertainty. Robbins visited the Western Slope last week, as one of the presenters at the Energy and Environment Symposium in Rifle. When asked about the bill’s impact on Garfield County specifically, Robbins told the Glenwood springs Post Independent that Garfield County has historically had good relationships with operators and he didn’t think the bill will make (the county) do things differently. He added that, while the bill changes the mission of the COGCC and the organization will have to reflect what that means, he hopes to have Garfield County involved in the rule-making process as stakeholders. Emily Hornback, with Western Colorado Alliance, said the organization plans to comment on the objective criteria and participate in the subsequent rule-making later in the summer. Leslie Robinson, chairwoman of the Grand Valley Citizens Alliance, a western Colorado group that advocates for greater distances between wells and homes, said she plans to look at the county’s own rules. In particular, some of the conditions of approval for Ursa Resources’ drilling operations in the Battlement Mesa Planned Unit Development provide a good example for the COGCC to use, she said. One rule that came to mind for Robinson was the condition of approval to halt all work from dusk to dawn at the gas pads in the PUD. “I think Garfield County had a lot of influence (when it comes to the new law),” she added. Aspen City Council on Monday approved the financing of a new government office building with certificates of participation, which will cover the debt of the project up to $60 million. But Pete Strecker, the city’s finance director, said he doesn’t anticipate the repayment of the $30.6 million project to be that costly. “We take this issue seriously,” Strecker told council about the municipal government issuing debt. Current market sets the interest rate at 3.78%, although it could go as high 5.25%. Council passed the financing with no discussion. Councilman Bert Myrin was absent. By issuing certificates of participation (COPs), the maximum principal amount is $30.6 million with a 30-year term, with an optional call after 10 years. COPS require that the city lease the property where the office is being built, located between Rio Grande Place and Galena Plaza, to a trustee. The city then pays lease payments to that trustee, which will be Zions Bancorporation. Those payments will be equal to the combined principal and interest payments of the debt, according to Strecker. These payments will be remitted to the debt holders who purchased the COPs. As collateral for the debt, the city will pledge the site — until construction is completed — and then the newly erected building itself once its complete. Strecker pointed out there is risk with this type of financing because the annual lease payments are not deemed long-term debt, which could concern investors that COPs are not as attractive as other investment options. Council chose COPs over general obligations bond, which typically carry a lower interest rate and require voter approval. However, Strecker estimates the rate between general obligation bonds versus COPs to be 0.10%. Work on the new office building, which will be around 37,500 square feet, is underway and is expected to be completed in two years. It is one of three projects designed to accommodate the city’s 300-plus employees. The existing Rio Grande building next to the new offices will require $1.2 million for renovation and another $13.9 million to renovate the current City Hall. The total package is estimated to be $45.7 million. The COPs will not actually be offered to the public and priced until mid-year, as staff plans to wait for a guaranteed maximum price from the contractor before issuing. Council also had considered funding the new building with a combination of cash and an intrafund loan from the Wheeler Opera House fund. If cash was to be considered, the council would have had to explore other ways on how to fund the renovation of the current City Hall, as well as determine what other capital projects that were planned to be paid for with cash would fall off the priority list. VAIL — The biggest real estate company in Eagle and Summit counties is branching out. In a blue-lit meeting room at the Marriott hotel in Vail, Slifer Smith & Frampton managing broker John Pfeiffer called for quiet before announcing that the firm has acquired Palladium Properties, an independent Aspen-based firm with offices in Aspen, Basalt and Glenwood Springs. • East West Partners — founded by partner Harry Frampton — buying Vail Resorts. • Vail Resorts buying Slifer Smith & Frampton. With the rumors out of the way, Pfeiffer told the full meeting room what actually happened. Palladium founder Krista Klees — a longtime veteran of the Roaring Fork Valley real estate business — founded what Pfeiffer called a “fiercely independent firm” about four years ago. That firm, with about 30 brokers, had grown into what Pfeiffer called the largest independent real estate company in the Pitkin and Garfield county markets. Pfeiffer and Klees met last year at a conference in Santa Barbara, California, and immediately hit it off. The way Pfeiffer tells the story, he asked Klees if she’d consider a partnership. Both Pfeiffer and Klees talked about the similarities in the two firms. Both are active in community philanthropy. Both firms are members of Luxury Portfolio International, an invitation-only international organization. “Palladium is really a classier version of us,” Pfeiffer joked. The deal was done over the course of about seven months, with people in Slifer Smith & Frampton’s Avon office working nights and weekends. And, Pfeiffer said, no one leaked the news. With the deal announced, Pfeiffer said Palladium will become an affiliate of Slifer Smith & Frampton, but will retain its current management. The deal also creates what Pfeiffer called the region’s largest, independently-owned real estate company. After the presentation, Pfeiffer said the move into the Roaring Fork Valley is a “natural progression” for both Palladium and Slifer Smith & Frampton. “It made sense to partner with an independent firm,” Pfeiffer said, adding that Palladium has strategically placed offices to work with both luxury real estate buyers and the broader community. In the noisy aftermath of the announcement, Klees said she’d long respected the work done by Slifer Smith & Frampton. In fact, she said, she founded Palladium based on many of the larger company’s business and principles of community involvement. Jeff Moore is the managing broker of Slifer Smith & Frampton’s Summit County operations. While Summit County and Aspen are fairly far apart, Moore said the merger is a good fit for both firms. “Real estate, especially (in the luxury segment) is about footprint,” Moore said. The expanded Slifer Smith & Frampton’s footprint also will be attractive to clients. “It’s going to be good for our sellers,” he said.